Have you ever see a politician fiercely attacking his opponent? Sure you have. Election campaigns without attacks on the rival candidate's performance, policy propositions and traits simply do not exist. Negative campaigning makes up a substantial part of election campaigns around the world. Though heavily covered in election news, the practice is strongly disliked by political pundits, journalists and voters. Some are even concerned that negative campaigning damages democracy itself. 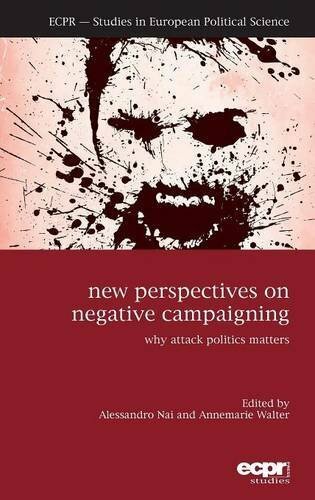 Negative campaigning has inspired numerous scholars in recent decades. But much of the existing research examines the phenomenon only in the United States, and scholars disagree on how the practice should be defined and measured, which has resulted in open-ended conclusions about its causes and effects.